At the Tower Theatre in Philadelphia there was no preacher, nor was there a large choir dressed in matching robes. 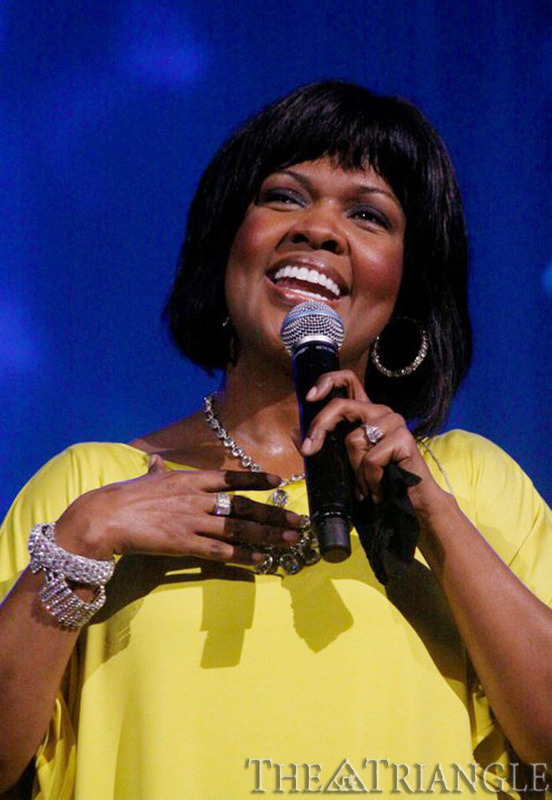 However, there was a spiritual anointing as BeBe & CeCe Winans, along with Mary Mary, performed for the “Still Something Big” tour on the evening of April 8. The concert performers kept the crowd energized with opening act VaShawn Mitchell taking the stage on cue at 6 p.m. Mitchell’s top hits, “Nobody Greater” and “Destiny,” encouraged the audience to sing along in almost perfect unison. CeCe Winans and her sister BeBe teamed with gospel sensation, siblings Mary Mary, for a tour of music and praise. Following a short intermission after Mitchell’s set, the curtains were drawn up and immediately the lively sisters Erica and Tina, who are collectively known as Mary Mary, took the stage. During the first half-hour, each pair – including BeBe & CeCe – sang two songs, then weaved off stage for Mary Mary, making it seem as though there was no headlining act. All performers were on the same playing field. Mary Mary and BeBe & CeCe Winans were excellent at engaging the crowd. The audience was filled with laughter as they spoke about how the siblings were each raised in the church and grew up in large families. “There were a lot of y’all,” BeBe joked. “You guys have us beat,” bantered Erica, her sister Tina laughing alongside her. The Winans are from a family of 10 kids, and Mary Mary, sisters, are two of nine children. Instead of an intermission, VaShawn Mitchell returned to sing his next series of fan favorites, which had earned him two Grammy nominations and Dove Award honors. During Mitchell’s performance there was an apparent costume change. Mary Mary returned with black and gold leggings and fly winged tops for an extended set where they sang “Shackles,” “Walking” and “Can’t Give Up Now,” among other crowd favorites. But attendees were not to leave without hearing what they had to say. “We don’t assume you all know about Jesus,” said Erica. “Maybe you all just like our music, or like my shoes,” she laughed while kicking them to the side. “But, we want to tell you a bit about Jesus, too.” It wasn’t a sermon, but just enough to make it clear that they are more than just entertainers. They ended the set with “The God in Me,” which raised everyone to their feet to join in the song with its audio tune, R&B flavor. As Mary Mary segued off the stage, the elegant and refined BeBe & CeCe returned. This time, CeCe returned in a decadent silk lemon gown that graced downward toward breathtaking rhinestone-encased heels. The attire was only outmatched by her clear and concise vocals. CeCe’s soprano was truly angelic. She is a true match for BeBe’s tenor, making for a delightful partnership with beautiful songs such as “Grace,” “Addicted Love” and “Heaven.” During “Grace,” BeBe surprisingly opened up about the rumors of domestic abuse and, through it all, he didn’t fight or try to defend attacks. For the final act, the foursome teamed up again as BeBe & CeCe sang along to Mary Mary’s “Get Up.” Each person seated in the Tower theatre bolted up to clap and dance along. There were a few people in the audience that were still seated, and Tina and Erica from Mary Mary wasted no time calling them out. “You spent your dollars to come see us perform on a Friday night,” Tina said, “you might as well enjoy yourself.” The crowd roared with laughter as the music started back up. The evening was full of warmth, amazing vocals and stage harmony, and was truly an entertaining evening.